Creator of Skeptical Science, research fellow in climate communication at the Global Change Institute, University of Queensland. New research has been published that finds the planet has continued to build up heat well into the 21st century. 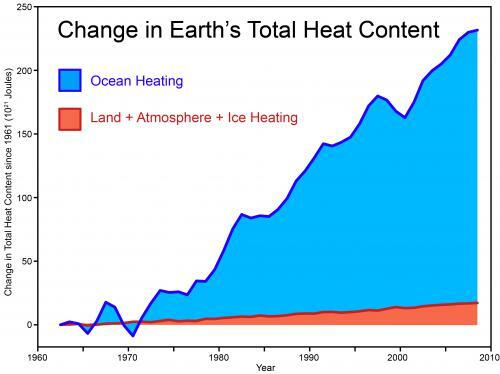 Church et al 2011 extends the analysis of Murphy 2009 which calculated the Earth’s total heat content through to 2003. This new research combines measurements of ocean heat, land and atmosphere warming and ice melting to find that our climate system continued to accumulate heat through to 2008. A high resolution version of the graph is available at the Climate Graphics resource. Many thanks to John Church and Neil White for generously sending me their total heat content data.